Please click on a subject at the left of the page, and there you'll find some of my interests. 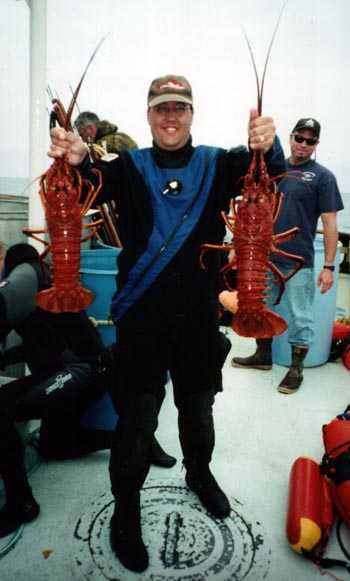 A few Cortez Bank Lobster for the pot! Kayak fishing trip to San Clemente Island - Jackpot Yellowtail!